We love New York City and we made this tiny guide, as well as others that we are constantly introducing, to bring you some great dining and show you an authentic local Chinatown and more during your stay as our esteemed guests. This guide is arranged for our guests who have one or two nights in New York, or even better, a few leisurely days. 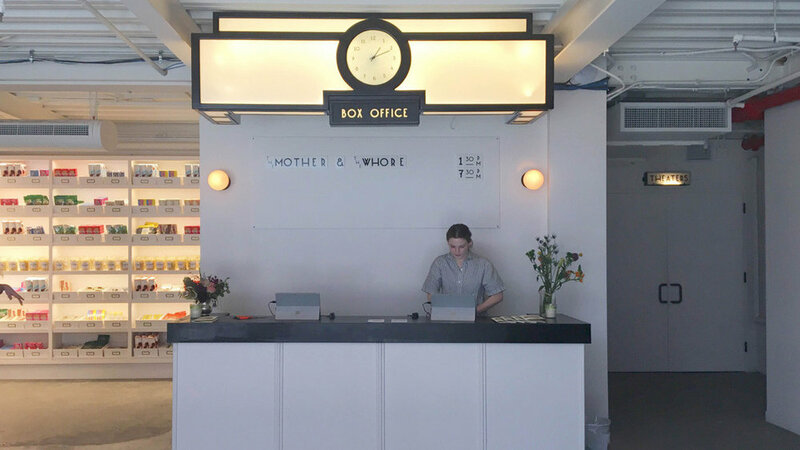 We desire to craft for you an Old New York experience, with an authentic American Chinatown as well as a little of the vibrant cutting edge of the Lower East Side (as well as the rest of the city) to make your time in New York memorable. Please feel free to ask for trip advice and check with us often for more recommendations, we love our city and love to make your stay a great one. We are experts of our city and want to make you expert too! Please accept this as a passionate introduction to our local area and our city. To be mimosa, every experience is young at heart. At the nexus of the Lower East Side, Nolita and the World Trade Center areas, your Mimosa Hotel is at the exciting edge of the new Chinatown. Guests have said that our area is reminiscent of China. Here are a few places very close by that you can visit while you get familiar with the rest of Manhattan. Afterwards, we welcome you back as your retreat away from the hustle and bustle of Manhattan. One of the world's top 50 bars, ... and right in our part of town! 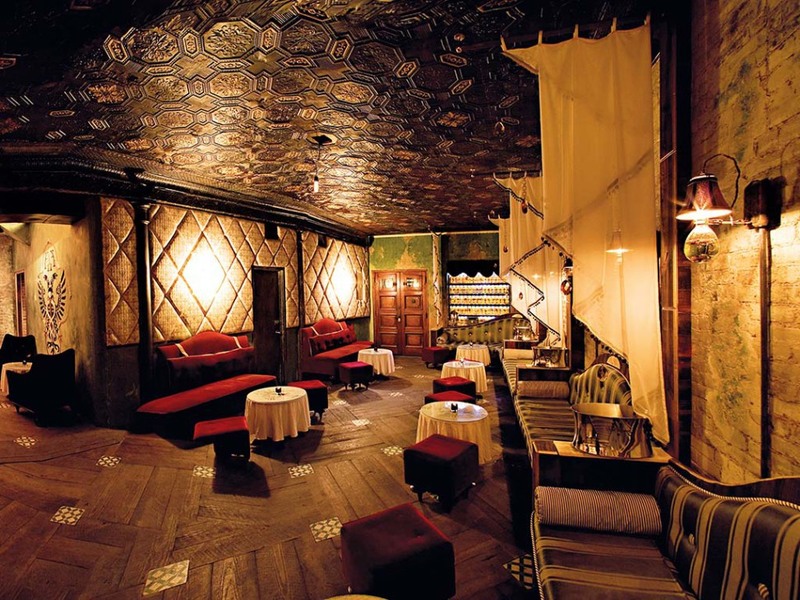 Enjoy the current Prohibition cocktail culture at one of Manhattan's best speakeasy bars. Venetian-style osteria with a beautiful wine cellar, reservations suggested. Hair of the Dog - 168 Orchard St.
A choice sports bar to go to. It's a bit loud but when you need to see that important game this will do it. Cafe Katja - 79 Orchard St. Cozy brick-walled Austrian eatery that has a great vibe and great goulash, sausages and beer. The Fat Radish - 17 Orchard St.
A British Gastropub that has a nice ambience and quality ingredients and lots of vegetarian fare. Leadbelly (aka bar belly) - 14 Orchard St.
Another great bar and good for a first date, hipster-style. One of our favorite neighborhood speakeasy cafes, perfect for an after dinner (Dirt Candy) espresso or please please try their sumptuous Egg Cappuccino and other delicacies from this Korean-style coffeehouse. One of our favorite 24-hour diner options is an empanada place like none other. Love their Columbian breakfast (available all day) and their nachos, yum. We have one of Chinatown's best kept secrets for our hotel breakfast option right across the street. 88 Palace Dim Sum is straight out of the Old World Hong Kong mold that's been around since the days of Bruce Lee and James Bond. It's also ensconced above a pretty quirky, old mall that's not much to explore these days but go upstairs and you'll be in Hong Kong territory. Open from 9:30 am. Best time to go is around 11am. A great place right around the corner from us which has some of the best barbecued meats and duck in Chinatown. You don't have to go all the way to the Mott St to get classic duck and congee (rice soup in a pot). Try their stone rice pots made to order for you. So convenient! Dimes - 49 Canal St.
A very nice organic restaurant, with a cafe on Division St., both serving healthy cuisine and popular with locals. Try their breakfast bowls and sandwiches. This great food and vibe is just 2.5 blocks from us. Tous le jour Espresso Cafe - 7 Division St. This fine cafe is open 7am to 8pm daily, the perfect place to get La Colombe coffee and some french pastries. Just 2 blocks away to this new bar with an Asian twist. Their cheapest food item, the mixed Asian cracker bowl, is one of their best, and their signature cocktails make this a cool spot indeed for Mimosa guests. We liked their Horchata Scotch cocktail, less so their Bloody Mary but for the close proximity it's a very good find. This very useful food market contains a mini-mall entrance to fresh Asian produce market and a large supermarket and a small shopping mall. Chinese Tuxedo - 5-7 Doyer St. This swanky restaurant offers modern Cantonese cuisine in what was once a Chinese opera house in the 1800's. Our Chinatown Movie Palaces are long gone now, but a 3-minute walk from our hotel will bring you to Metrograph, a hip art-house classic you'll love for films. Metrograph has a live projectionist to show selected 35mm classics and even a curated theatre lobby snack shop, very New York! Down the block from the Metrograph, you'll find a very nice selection of homemade chocolates in this very cozy yellow-lit corner candy shop. They stock specialties like caramels from France and a collection of European licorice that rivals Myzel Chocolates on 55th street, yet only a 5-minute walk from our hotel. So get in touch with your very Sweet Life! 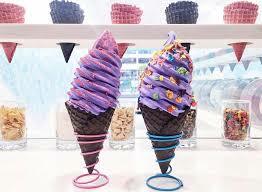 Soft Swerve Ice Cream - 85B Allen St.
Also 5 minutes away is a lovely dessert sensation, purple ice cream! Exotic fruit flavors like macapuno, purple yam and black sesame will cool down your summer days here. 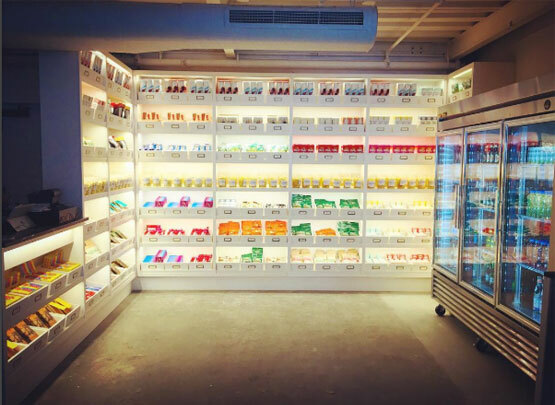 This colorful new ice cream parlor is just the right summer addition. We love and recommend Sights By Sam (917-242-8421, www.sightsbysam.com) to our valued guests so they can craft their own slice of New York during their stay. What we like about Sights By Sam is it's totally customizable, so call them and get going! The Streets of Old (and New) Chinatown: Doyers Street and Pell Street occupy much of the history of an infamous Chinatown of the early 20th century and before. Tunnels, gangs, opium, gambling. The 19th century Italian architecture can be especially seen on these streets of traditional Chinatown. Look to the cornices on top of the buildings. While there are about three or four tunnels left in Chinatown (if you can't find them please ask, we can point the way), the romantic intrigue is largely embedded in history now. Apotheke Cocktail Bar - 9 Doyers St.
A wonderful theme bar nestled in the nostalgic Doyer street. Think tunnels and intrigue. There's a long wait to get in, so you can people watch outside and fiddle with your vintage film camera and take in Chinatown's colorful night lights. Incidentally, there was a beautiful old fashioned pharmacy right around the corner in the 1960's with large flasks of colorful liquids just like the one depicted on their "chemist" sign. If anyone has a photograph of it, please let us know. A Tea Parlor with an early 20th century Chinatown decor that is authentic. Truly worth a visit. Bring your camera and set aside a roll of film. We like the different types of egg rolls and some of the hot dim sum. You can try authentic dim sum all over chinatown so save your stomach for some dim sum parlor-hopping! A great crowded place for soup dumplings and we recommend the Braised Carp Belly for a great journey into Shanghai cuisine, very popular in Chinatown. Head to Mott St or Division St the line at Joe's is too long a wait. Vegetarian Dim Sum House - 24 Pell St.
We love their Buddha delight, which is actually different in different parts of China. Their gluten dishes are great, especially the faux meat dishes. There is sumptuous vegetarian dim sum, like their bean curd rolls and fried lotus sandwiches. We also prefer white rice here, which seems more authentic to the way the dish tastes in China. Chinatown's version of the 18th century English tavern where you can drink and dine inexpensively while you read the newspapers and hold court. This restaurant offers the cheapest old-school dim sum and has a very loyal following. The service is also old-school so you'll have to be patient at times. Excellent coffee, shrimp dumplings, beef balls, the list goes on. The perfect place on a dark winter day to sit and let the day go by. We come here when we're jet lagged. The famous chef and owner is from Hong Kong and his place offers true Hong Kong cuisine. The dishes are a little bit on the expensive side but there's plenty of variety on the menu. The perfect place for your last dinner in Chinatown. Dim Sum on weekends is particularly colorful. Shanghai Asian Manor - 21 Mott St.
Arguably one of the best places for Shanghai soup dumplings that may be even better than going to Shanghai. If you know of a better place, let us know! We also recommend the noodle soups on a winter night. Wo Hop - 17 Mott St. The downstairs of Wo Hop was made famous by Woody Allen. The upstairs of Wo Hop is frequented by Chinese diners. The menus are different as is the case in most of the classic Chinatown restaurants, but both are authentic and so you can experience a pre-1960's Chinatown decor and cuisine downstairs and a 1970's vibe and cuisine upstairs. Hop Kee - 21 Mott St.
A beautifully evocative old Chinatown place straight from the 1960's. The food is a tad salty (because they use a thicker soy sauce authentic to that era) but you can always ask for it less salty. Steamed live shrimp is a specialty that you should try, and ordering it will most likely label you as a connoisseur. All the old standbys in chinese-American cuisine are great here as you bask under the old fashioned fluorescent. The game machines are modern, and the Dancing Chicken machine is a thing of the past, but the arcade hails back to the 1960's when there were two arcades, this one and another across the street, under the legendary Port Arthur restaurant. The colors and atmosphere bring back those memories though, so please enjoy. Round out your Chinatown childhood with a dessert here at one of these two hip places. A classic coffee shop with a warm decor that had been modernized a few years ago. One of the best roast pork bun eateries. Offering also great breakfast, and Hong Kong styled snack foods, you can have a few snacks a day just like in Asia. Great percolated Martinson's coffee Chinatown style! Cafe Hong Kong - 51 Bayard St. Huge slabs of steamed pond fish and scallions is the popular lunch dish here, at a low price. In fact, splurge and order the larger lunch version of this dish instead of the lunch special. You will leave the place singing (if you're a fish fan). Bo Ky - 80 Bayard St.
Chao Zhou Cuisine reigns here. Their marinated country duck is a light alternative to the iconic chinese barbecued duck, their wonderful soups are very good eating and their homemade meatballs are famous. Bo Ky even bottles their own spicy hot sauce. The souplike curries are deeply flavorful. One of the best if not THE best duck and roast pork houses in old Chinatown. Your cellphone reception won't work inside but you'll be too busy stuffing yourself. Try the Hong Kong Style Lo Mein with Roast Pork (Mimosa Recommendation) as an alternative to your soba cravings. They also have wonderful fried crullers (one is sweet with a sugar crust and one is without sugar) as the perfect companion to their congee or noodle soups. In the mornings you sometimes see delivery workers on the street munching on a cruller along with chinese tea for breakfast. It reminds us of the combo of Indian Samosas and sweet milky tea or crullers and a full flavored hot pot. If your mouth waters while reading this then we are of the same mind. Tai Pan Bakery - 194 Canal St., close to the corner of Mott St.
Pineapple buns with butter are irresistible here (made to order so ask a waitress and do wait the 10 minutes for preparation). Also great are their egg tarts, Portuguese egg tarts and coconut tarts. The perfect place to take home some soft sweet breads for late night comfort food to have with our complimentary hotel espresso. We love to stop by here very early in the morning around 8am to get their bread pastries, when they are soft, fluffy, straight out of the oven, and seriously beating Asia. Along with their excellent coffee this just could be the best fast food breakfast before heading to the subway on Canal St.
New Kam Man - 200 Canal St. This large food market is worth a visit for the variety of food and gift ideas of inexpensive cook-ware and tea-ware. This charming Vietnamese place has all the regular staples of the cuisine. Their fried spring rolls served with fish sauce, lettuce and Asian basil and their huge beef soups (try soup bowl no. 1 as an introduction) will warm you up in the winter. We love to make our own dipping sauce of plum sauce, lemon, and hot sauce for an eye-popping fresh zing that will bring you to the bottom of the bowl and leave you sated, for the time being. One the nicest places for this chinese specialty. Please don't be daunted by the huge menu, chinese people feel the same way, that's why we slowly cull our own favorites over time. This restaurant makes it easy, and do explore the different meat varieties for dipping (lamb, pork belly, etc) if you take 2 or 3 from every food group you'll automatically have a tasty broth. No choice is wrong. And make your own sauce from their ingredients which is brought to your table. Start with just soy sauce and sesame oil as a basic yet delicious sauce, and from there you can add a little bit of whatever suits you, satay sauce (highly recommended) some chili oil to suit your taste and whatever else and you're off to a great dinner. Two people in your party? That's a perfect number as well as six. Statue of Liberty and 9/11 Memorial, and more: Many believe these are must-see places. Here are some less known places that will complement your experiences in these spots and fully give you a true taste of New York History. George Washington, our first president, is deeply rooted in the lower Manhattan area near the Mimosa Hotel. The first White House or Presidential Mansion was at 3 Cherry Street, about a 12-minute walk from our hotel. There are only plaques marking this and other places Washington visited. 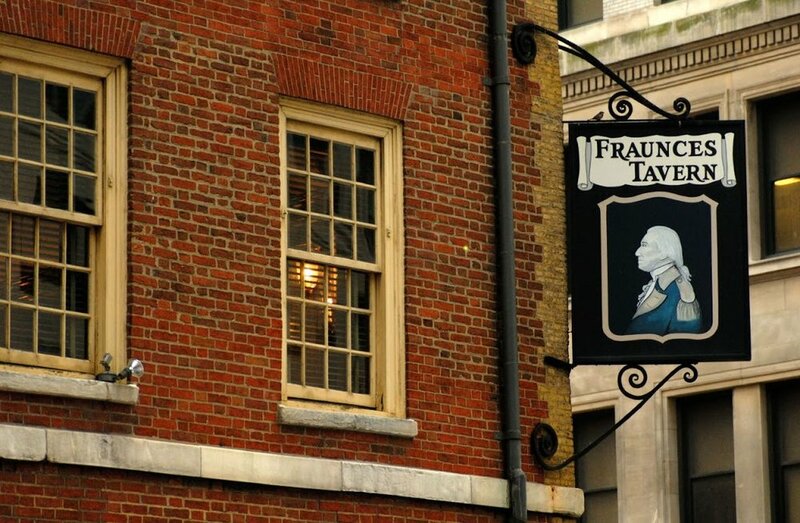 However, the Fraunces Tavern is a real treasure and worth a visit. It is one of the two oldest Manhattan restaurants. 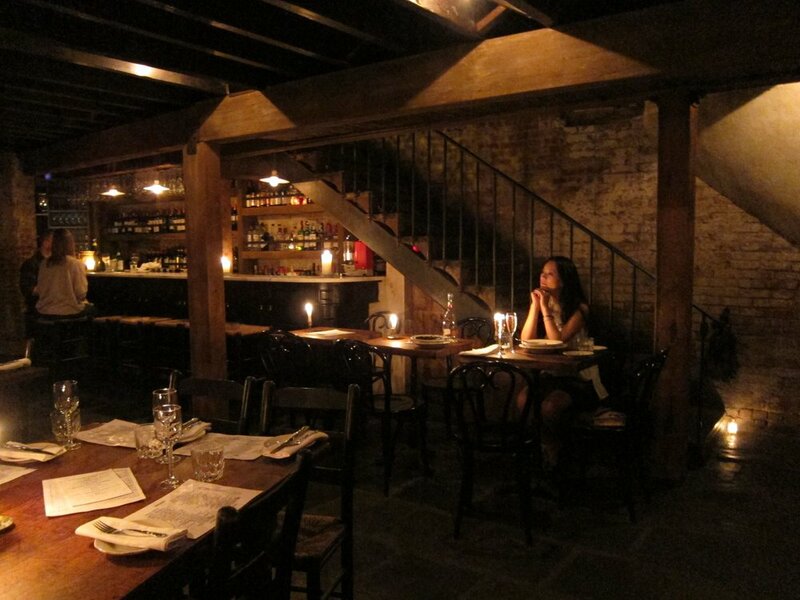 We suggest to reserve a meal at the main candlelit dining room with long tavern tables and portraits of Washington. The Chicken pot pie is from an original colonial recipe. The museum upstairs is free for diners and contains the actual room where Washington bade farewell to his soldiers. The tiny scotch bar near the entrance is a perfect cozy place to have a drink. Delmonico's - 56 Beaver St. Although slightly out of the way on your way down to South Ferry, this historic restaurant has invented a few of America's famous dishes. Baked Alaska, Lobster Newburgh, Delmonico's Steak, Eggs Benedict are but some names that (may) have their origins from this kitchen. We love the Old New York atmosphere and relish the opportunity to dress up for a worthy place as this. These are wonderfully restive places to rest your weary legs for a moment of quiescence. They have free lunch time concert series that are truly memorable. Pisillo - 97 Nassau St. This tiny panini maker makes large delicious sandwiches with many special fillings, a perfect takeout for your on-the-go Wall Street area walking tour. A sandwich easily is shareable will keep you full till you reach the Statue of Liberty. Majestic Pizza - 8 Cortlandt St. The only pizzeria to survive the 911 incident, this place is old world 1970's pizza that rivals Joe's Pizza in the West Village. Thin crust, cheesy and very Old New York. Having a slice here and shopping next door in Century 21 is like going to Woolworth's and shopping at Macy's. Before heading south, what's better than a rustic breakfast in front of a fireplace in a tiny landmark 1810 building? New York Ranger star goaltender Henrik Lundquist opened this restaurant and it has some of his personal favorite foods. Many guests have asked for a rooftop bar recommendation. So please check out the fabulous Manhattan views here over a drink at this popular bar and then save your appetites for Korea Town (32nd st between 5th and 6th aves.) or Indian Town (Lexington Ave. between 27 and 29 streets), now that's a very satisfying and inexpensive night out. The original is here on 18th st. where it all started. Most famous for their varieties of hot chocolate and we love their pastries. The daily Brunch buffet is very good. Just a great place for people watching. One of the best bbq houses in the city. Try their fork tender chicken and beef brisket and have it with a glass of bourbon and you'll see what we mean. This is their original location. Reservations are recommended. Keen's Steak House - 72 West 36 st.
A 19th century classic of New York. This was a former gentlemen's pipe smoking club that now serves truly wonderful lamb with a homemade citrus-mint sauce. You must visit the upstairs where they have relics of Abraham Lincoln (the owner was a collector of the President's memorabilia. The best time to dine here is for lunch on weekdays. St. Andrew's Restaurant and Bar - 140 West 46 st. Pretty Scottish bar, with a nice haggis, cranachan and especially their Scotch sampler of mini-drams. Japanese cutlet house with fantastic set menus of their prized cutlets. And great curry too. Extra miso soup, rice and cabbage salad is on the house. We love the Metropolitan Opera for their $25-35 standing room orchestra tickets, obtainable an hour before any performance depending on availability. With luck you'll land a free $$$ orchestra seat after the performance starts. Or attend a rehearsal with the New York Philharmonic early in the morning (9:30am till 1pm is the usual rehearsal time). These are the least expensive and fun ways to experience Lincoln Center that don't require much planning. We like the Intermission Bar and Grand Tier Restaurant inside the Met (you can splurge from the savings from your tickets). Also, we can recommend Cafe Luxembourg (200 West 70 st) for an old New York dining experience, Ed's Chowder House (44 West 63rd St) for their deep flavorful chowders, P.J. Clarke's (right next door) for a superb burger and their delectable chocolate ice cream, Rosa Mexicano (right next to P.J. Clarke's) for nacho's made from scratch (Mimosa's secret) and for those of you wanting a cheap but authentic late night diner, the Olympic Flame Diner (200 West 60th st) has been around for ages and will satisfy your post-opera hunger. Everyone has their favorite New York Deli's. Here is one of ours. The film location for the 1995 film "Smoke", this classic New York place is crowded on the weekends but is easy to get a table at other times. Great ambience. Please go. The location for the 1998 film, "You've Got Mail" and a beautiful bistro it is. A very nice lighthearted cafe to meet family, and while away sunny afternoons. Cathedral St John the Divine - Amsterdam Ave and 116 St.
On Sundays the Cathedral has Choral Vespers at 5pm. Their Biblical Garden and open grounds is home to two peacocks who roam around. The Hungarian Pastry Shoppe is a beatnik hangout to artists and the nearby Columbia University students and has a wonderful aura of 1970's New York. And the V&T Italian Pizzeria next door is another inexpensive gem. Sylvia's Restaurant of Harlem - 328 Malcolm X Blvd. A landmark restaurant in Harlem that has plenty of tourists but don't let that keep you away, the food is great. Try their thick cut bacon, grits and very sweet iced tea. After your meal, go to 125 st, a main street with the Studio Museum of Harlem (144 West 125 St) and the legendary Apollo Theater. After you do the Highline, you can try the Chelsea Market (75 9th Avenue) food hall for it's great gourmet eating and food-related shopping. The food channel has it's offices here too. The Old Homestead Steakhouse across the street has been serving "a helluva steak" since 1868. Lastly, about a 10-minute walk is Tea & Sympathy (108 Greenwich Ave) a thoroughly comfy little English tea shop. Tomoe Sushi - 172 Thompson St. This longtime sushi place is the best sushi and sashimi in Manhattan for it's quality, price and portions. There are long lines for dinner but we prefer it's unbeatable sashimi lunch. Expensive cuts of fish, big slabs of it, and a variety of dishes is worth the cab ride. After lunch, which is offered daily except Sunday and Monday, you can window shop down West Broadway to Laduree Soho (398 West Broadway) to continue feasting with fine french desserts in their three beautiful interiors. Quantum Leap - 226 Thompson St. This fine vegetarian restaurant has asian and mexican fare and vegan specialties as well as fish. Do check out the Chess Forum across the street (219 Thompson St.) and play a game after your meal, or buy a chess set. Pasticceria Rocco - 243 Bleecker St.
We like the west side of Bleecker St. as a less rowdy part of the area. 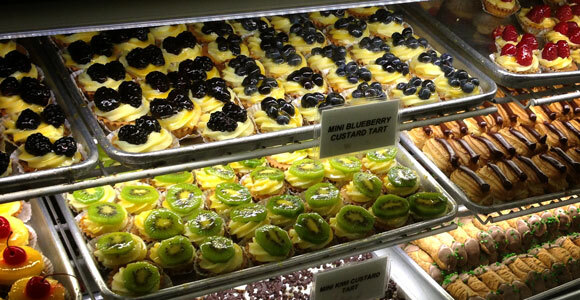 This cafe is very local and friendly, with great italian cookies and simply great cannoli. We also love to go to Joe's Pizza below. Joe's Pizza - 7 Carmine St.
A perfect New York pizza (circa-1975) without fanfare, just nicely crowded, friendly and with the lovely fountain in front in the Father Demo Park. This is the kind of pizza we New Yorkers have grown up loving. Cowgirl Hall of Fame - 519 Hudson St.
We couldn't resist recommending this cute restaurant bar for it's giftshop and hidden bar room with a starry blue sky. What fun! 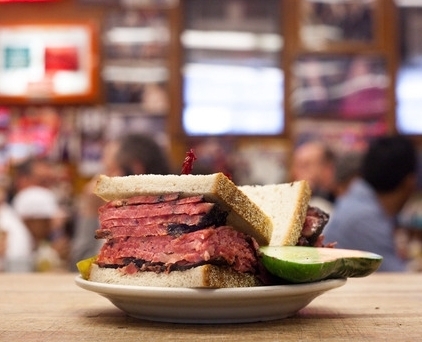 Katz's Delicatessen - 205 East Houston St. Landmark deli and location of the 1989 film, "When Harry Met Sally". You will eat much better here and get the real NY deli experience than at any of the uptown deli's. A historic eatery selling knishes and borscht since 1910. They really know their deli food here. Old time 1847 bar across from the Apple Soho store. Our favorite is their meatloaf sandwich, taken hot or cold. Very inexpensive & satisfying fare. McNally Jackson Bookstore and Cafe - 52 Prince St. The best bookshop in the area. Their cafe is has wonderful pie and soups, their standard coffee is an americano. Not far from this renown bookshop are a pair of related print store and a stationery store they also own. Ask for directions. Arguably one of the most famous old bars in the east village. Sawdust, and old portrait paintings line this space with its draft beer which comes in two glasses per order and great sandwiches. There's a cool Videogamesnewyork shop (202 E 6th st) as well as Toy Tokyo (91 2nd ave) that will fill you with eye candy before your beers. This cute little Japanese tea place has small cozy spaces to enjoy fine desserts and teas. We love their salmon toast. They even have a Chinese tea ceremony that is $12 (a very similar service is complimentary at Mimosa Hotel though). Veniero's - 342 East 11 st.
An 1894 Italian bakery that has nice old-fashioned happy vibe. They have a lot of holiday cakes and lots of pasties to choose from. This is a good alternative to Ferrara's on Grand St. and less touristy. A high quality sushi restaurant near Union Square that has a long following. We can't decide which is better, Japonica or Tomoe. A quaint American Eatery near Union Square that has a delightful bar and a homey, civilized crowd. You'll love it. A 1929 deli and coffee shop that is friendly, and tasty. Good for a snack before heading down 5th ave or heading up to Herald Square. 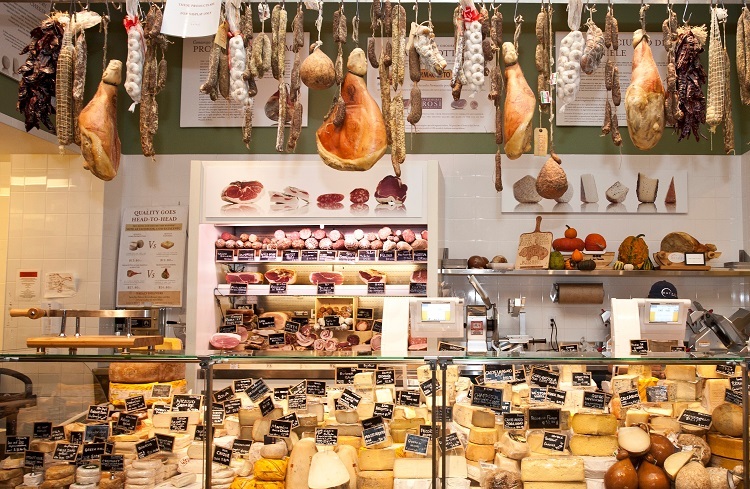 An entire building devoted to imported italian foods. We love their hipster rooftop bar and their wonderful antipasti. One of the most distinctive restaurants on this row of Indian places. Pongal offers south indian cuisine which is vegetarian. Their flavors are carefully prepared and not generic. Try their thali selections and beverages. Pierpont Morgan Library is not far and free on Friday evenings. We are very opinionated on delivering an authentic New York experience to our guests and although we don't expect you to go everywhere we have recommended we do like to leave you with a nostalgic feeling of old New York. This steak restaurant used to be a chain and now is the last remaining one. It is the steakhouse for the common New Yorker and a lovely relic of the past. If you're shopping at Macy's, come by for a steak made to order, cafeteria-style. This transporting location has great design, a pair of gift shops for Scandanavia-related gifts and authentic fare of the region (and superb desserts). A wonderful elite espresso bar and candy shop selling gourmet Viennese confections. Great to rest your weary legs after shopping in the Grand Central area. Another Old New York Legend. You will be transported to the 1970's inside here, and a world class seafood menu. Feast on oysters and stews and lovely desserts that make us nostalgic. 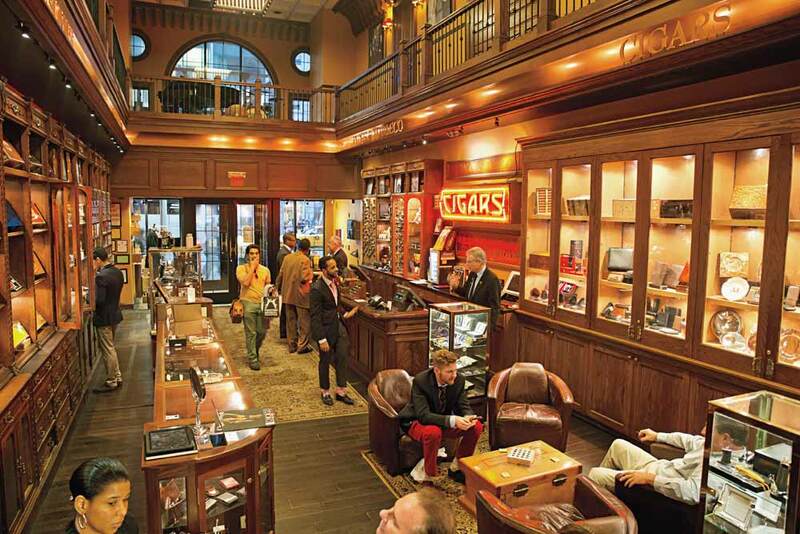 We had to mention this famed cigar store. In their extensive humidor room, they also have their own line of "Timeless" brand cigars with a very smooth yet strong, earthy flavor. Check out their wonderful cigar and pipe-related gifts, we love their expensive french humidors. You'll find camaraderie among other cigar fans at this cigar lounge where Weegee used to buy some of his cigars. A large extensive Japanese bookstore and cafe on the second floor. It also has a large selection of architecture and Japanese anime. The white cafe has a nice view of Bryant Park. Although not as classic as the original bakery on 41 East 78 st (please go there if you can), it's a faithful copy of the gourmet cake shop. 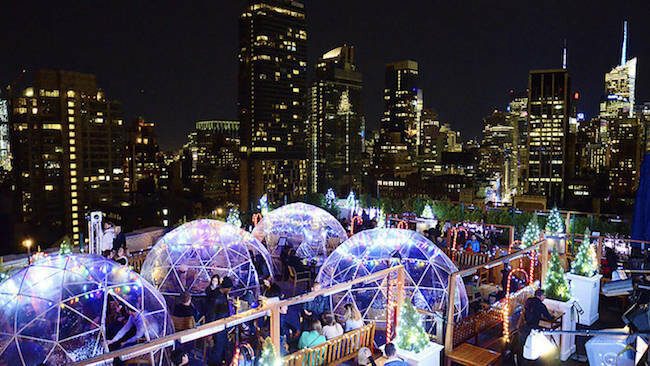 Stroll Bryant Park while you wait for the lines to shorten at this popular place. Il Vagabondo - 351 East 62 st.
An New York Italian old-school restaurant with its own indoor Bocce court, an amazing combination. Try their Veal Parmigiana. This 1925 Drugstore soda fountain is largely unchanged and a mecca for worshipers of Old New York and the way it was. Try their pies, burgers, and breakfast sandwiches and of course their malteds. 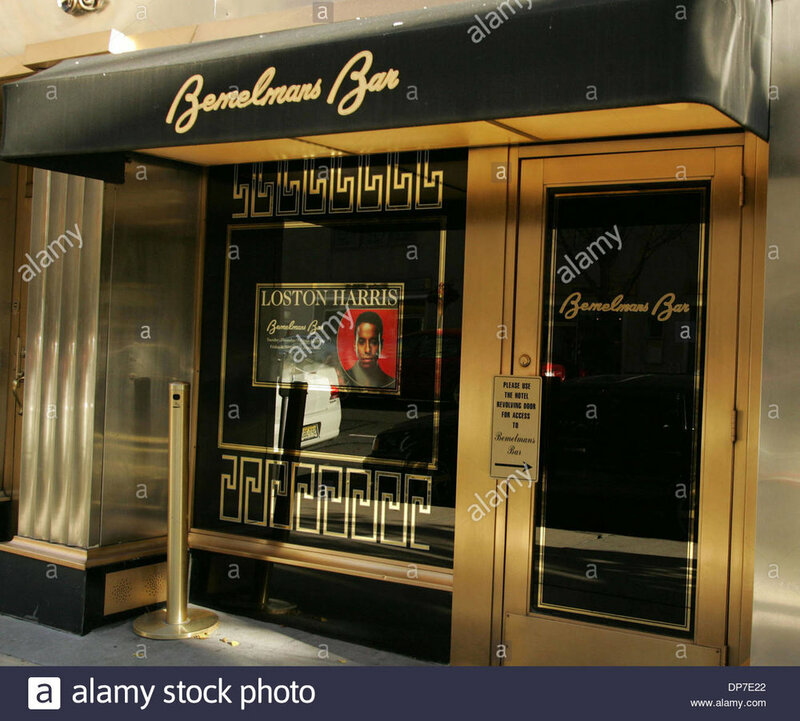 Bemelman's Bar at the Carlyle Hotel - 76 st near Madison Ave. This beautiful old New York bar has murals painted by the famed writer of the Madeleine Children's books which will transport you. At night, it was the venue of the legendary Bobby Short. Free hors d'oeuvres and signature cocktails are the best way to take in this place. Sometimes Woody Allen plays at the bar next to this one. This niche museum has a great little gift shop and bookstore dedicated to German art and architecture. Their Cafe Sabarsky serves outstanding Viennese cakes and coffees; you will not be disappointed with their Sachertorte.